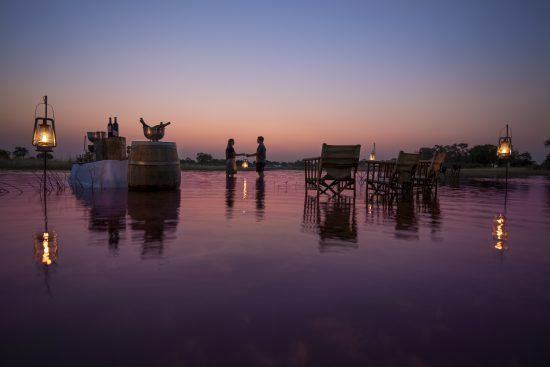 There’s nothing quite like a generous serving of romance to pair with an African adventure. The setting is ideal; epic unspoiled landscapes, creatures of legend, cinematic beach backdrops and spaces so ancient and sacred that they are the perfect backdrop for unforgettable romantic African experiences. 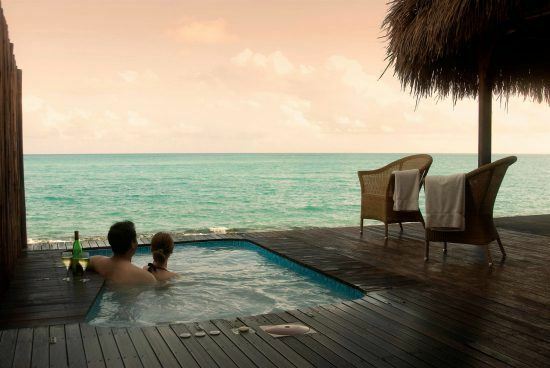 Here’s our pick of unmissable locations and activities that are perfect for a loved-up journey. When it comes to remote escapism, Namibia’s Sossusvlei is the ultimate location. 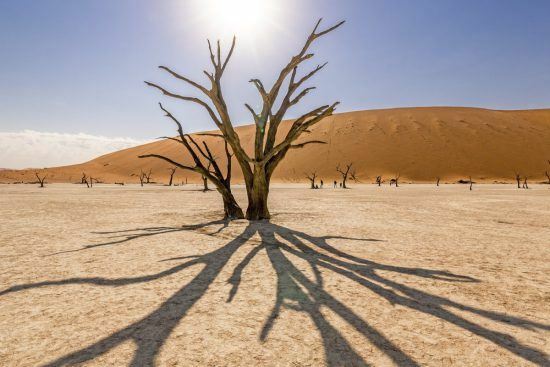 Situated in the largest conservation area in Africa, the Namib-Naukluft National Park, this salt and clay pan is a scenic wonderland renowned for its sand dunes, which are some of the tallest in the world. A journey to this epic expanse is one of the most escapist experiences you can have in Africa. 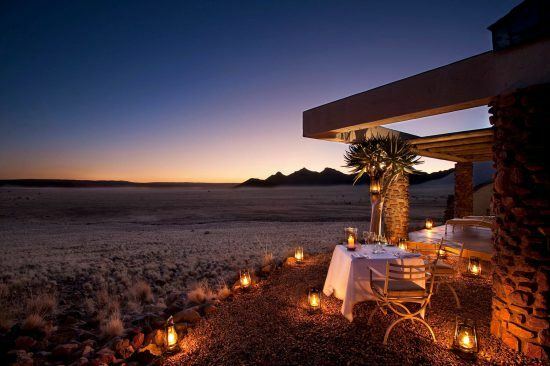 The Sossusvlei Desert Lodge offers the best of this landscape with a giant heap of luxury too. It has all the comforts of modern living and the ‘lost in the wild’ atmosphere that romantics can’t resist. 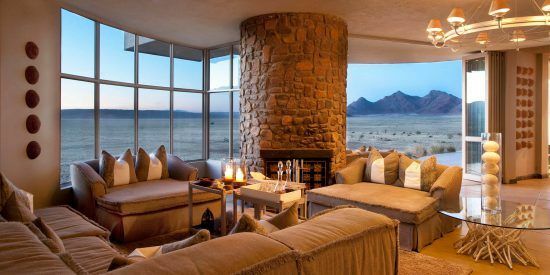 Situated in the ancient Namib Desert, this lodge is made up of ten glass and stone villas overlooking the infinite span of the desert terrain. 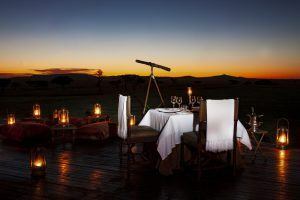 With interiors designed to expose the best of this territory, including the skylight above each bed which gives unparalleled stargazing, it provides one of the most memorable and romantic African experiences out there. 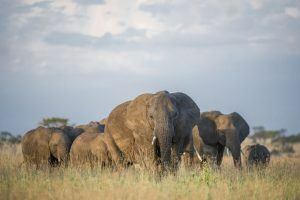 The Serengeti National Park is famed for its rich wildlife population, including the amazing Big 5, and the Great Migration that plays out on its plains every year. This glorious wilderness is an unparalleled setting for an unforgettable safari; whether it’s to view the epic passage of 1.5 million wildebeest between the Serengeti and Maasai Mara or a host of other animals in Africa’s most ancient habitat. This landscape of volcanic grasslands, plains, trickling waterways, rocky outcrops and forests is a beautiful arena for various romantic African experiences and especially rewarding game-viewing. Singita’s line of luxury accommodations offer an authentic but elegant setting from which to delve into amazing opportunities while preserving the African wilderness. With the newly redesigned Singita Faru Faru Lodge in Tanzania, you and your love can experience the Great Migration with an expert field guide or via the air with an astounding hot-air balloon safari lasting an hour. Situated in the Grumeti Reserve, this hideout offers prime viewing of lion, leopard, giraffe, black rhino and more – not to mention sumptuous spa treatments. 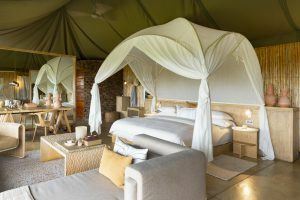 The Singita Sabora Tented Camp on the other hand also offers premium game viewing and has gorgeous draped curtains that hearken back to the early days of the safari within an intimate setting of 9 luxury tents complete with a pool, spa, gym and boutique. 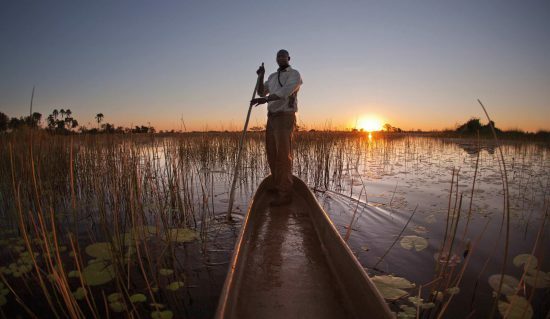 Botswana’s Okavango Delta offers stunning exploration. This labyrinth of winding canals spans more than 16 000 square kilometres and is the world’s largest inland river delta. A watery showground, it’s best travelled by a traditional dugout canoe called a Mokoro. With this charming transportation mode, you can feast your eyes on Chobe’s exceeding concentration of wildlife while immersed in seclusion and nature. 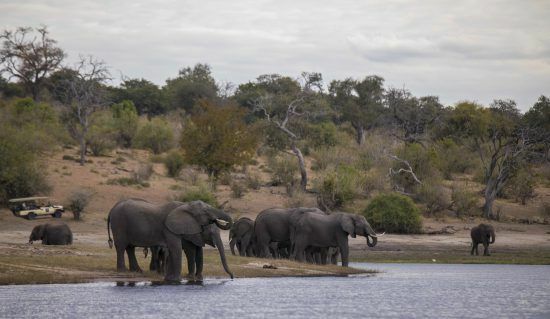 The Delta’s diverse habitat houses creatures such as the lion, elephant, hippo, zebra and leopard and accommodations such as Camp Moremi and Vumbura Plains Camp offer front row seats to this wildlife spectacle. 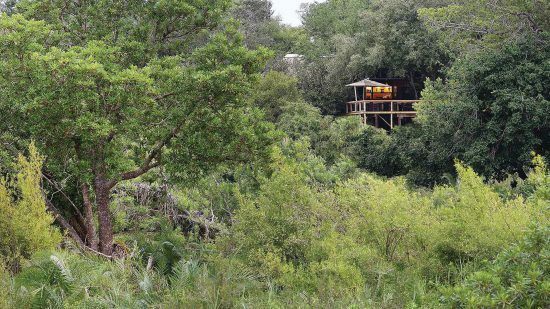 Camp Moremi, an elevated thatch and timbre structure built on the edge of a lagoon, is situated in the Xakanaka area of Moremi Game Reserve. With decadent facilities and exclusive safari tents, each sited on a raised platform overlooking the Xakanaxa Lagoon, it provides one of the most unforgettable romantic African experiences. Vumbura Plains Camp, which is situated in a private concession bordering the Moremi Game Reserve, consists of two separate lodges of 7 tented suites each. Its location is ideal for delta exploration, whether by Mokoro, delta boat, open-air 4×4 vehicle or on foot, and certain glimpses of lion, cheetah, leopard and more. 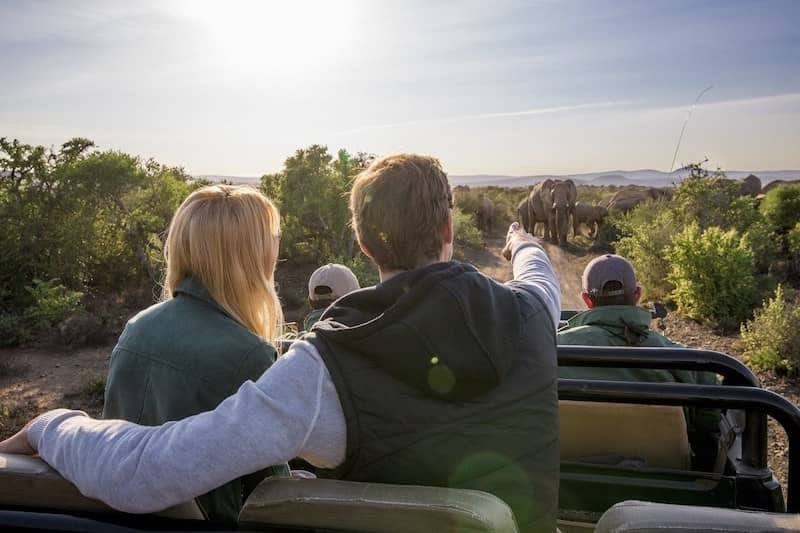 For couples who love the countryside, it doesn’t get dreamier than the Cape Winelands in South Africa‘s Western Cape province, with its cluster of small towns, gorgeous greenery and wineries dating back hundreds of years. 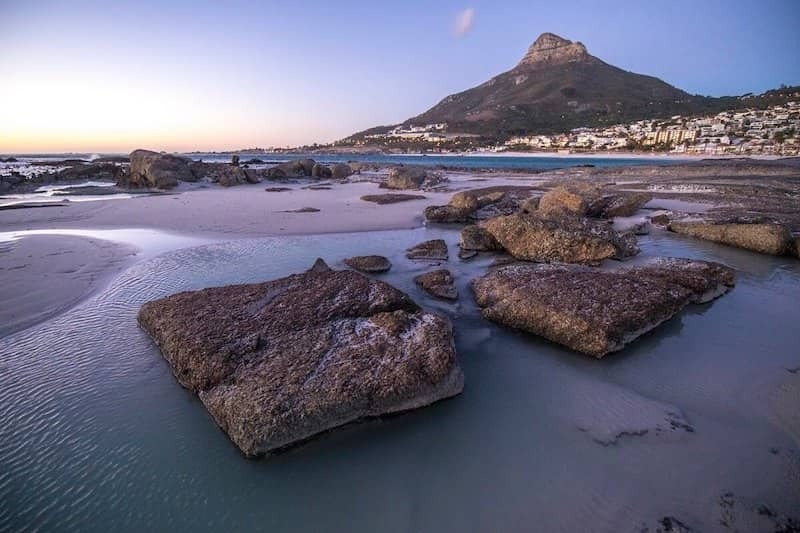 From Franschhoek, dubbed the “gourmet capital” of South Africa, with its top restaurants and wineries to the historic towns of Paarl and Stellenbosch, this entire region is a feast of cuisine, wine and culture. 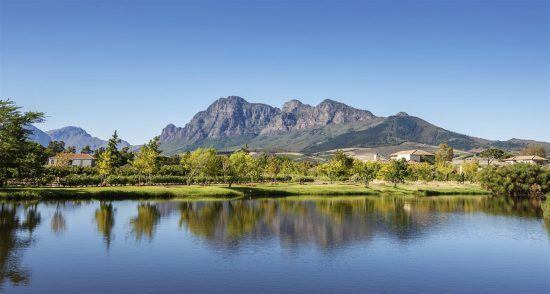 In Stellenbosch, savour its famed cabernet sauvignon and pinotage (an authentically South African cultivar) from the more than 140 wineries hidden in the rugged mountains of this landscape. On foot or by bike, explore its historic architecture and museums or opt for a scenic hike. 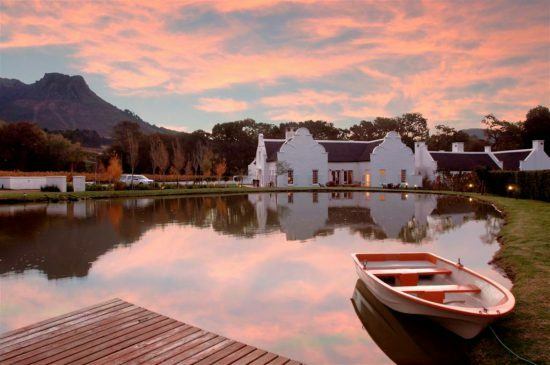 In Franschhoek, walk through Tricolore dotted streets and sample sumptuous award-winning cuisine. 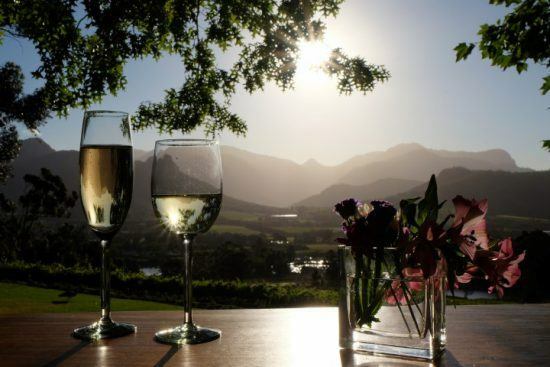 In Constantia, visit South Africa’s oldest wine estate – Groot Constantia – and sample the region’s sauvignon blancs and dessert wines in restaurants such as La Colombe at Silvermist Wine Estate, which was voted one of the world’s 50 best restaurants by San Pellegrino. In Londolozi Private Game Reserve, a famous ‘predator’s paradise’ in the Sabi Sand, lies a luscious retreat that offers the ultimate in romantic African experiences. 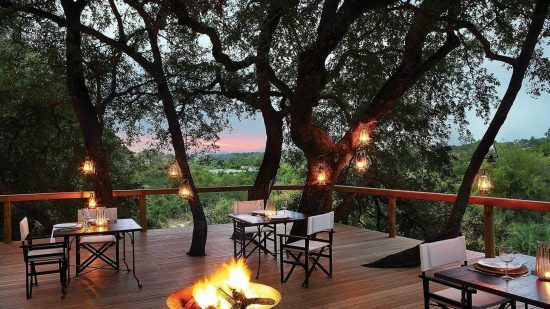 Londolozi Tree Camp, which sits along the banks of the Sand River, is a lavish Relais & Châteaux sanctuary in the heart of the wilderness. 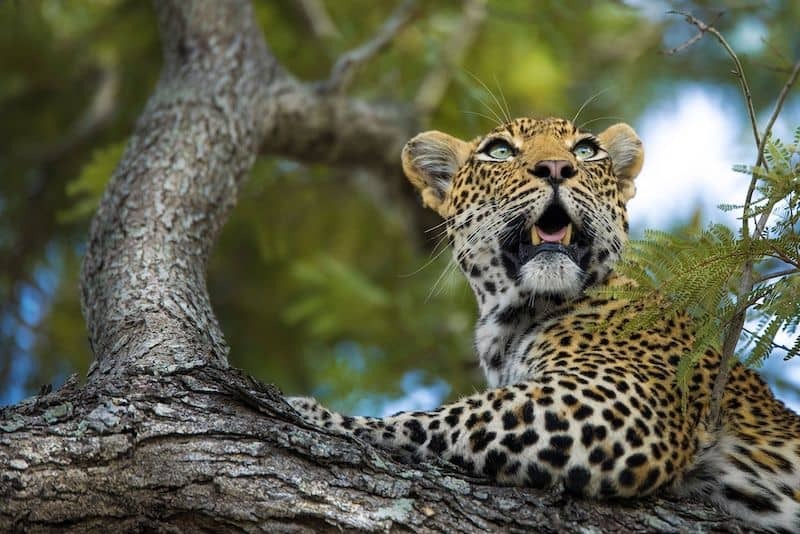 With unbelievable leopard sightings, ample viewing of other wildlife and abundant photo opportunities, especially on the banks of the Sand River, it’s likely to be an experience you and your partner will never forget. 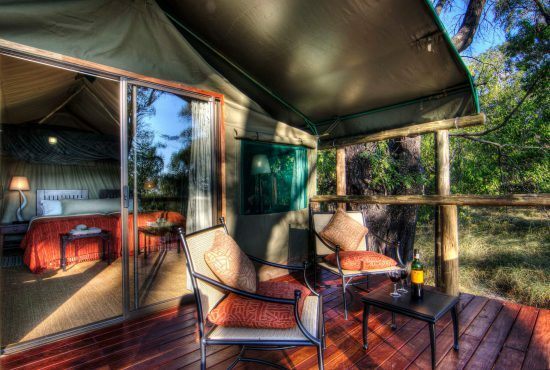 The Camp’s 6 Suites are all fitted with en-suite baths and access to a plunge pool overlooking the river. A highlight are the breakfast and lunches, which are served up in the trees, and the delightful candlelit dinners. 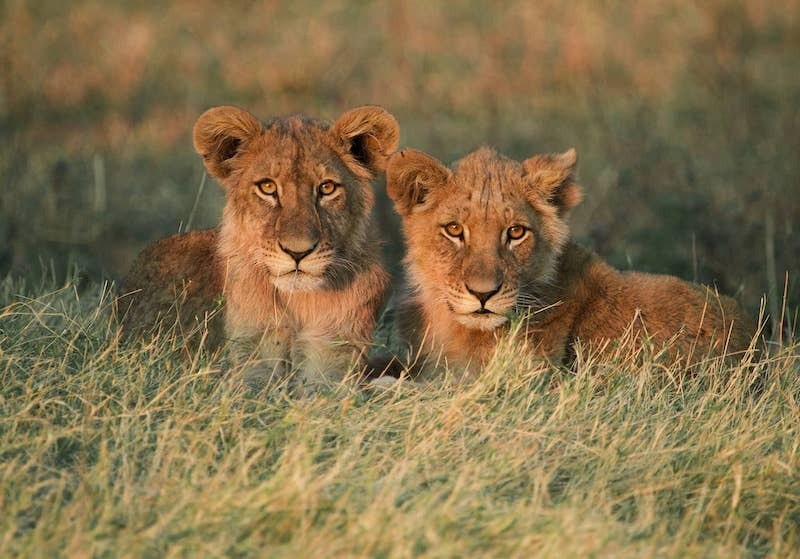 The reserve itself is home to the renowned Big 5 and emphasises protection of Africa’s wildlife. There are amazing opportunities for Bush Walks and Game Drives in a setting that offers pure exclusivity. Mozambique has some of the most beautiful beaches in Africa; beaches so idyllic, turquoise and pristine that they rival a picture. In addition to gorgeous, unspoiled settings, this country has a range of paradisic hideaways that are ideal for a couple that’s after romantic African experiences by the sea. 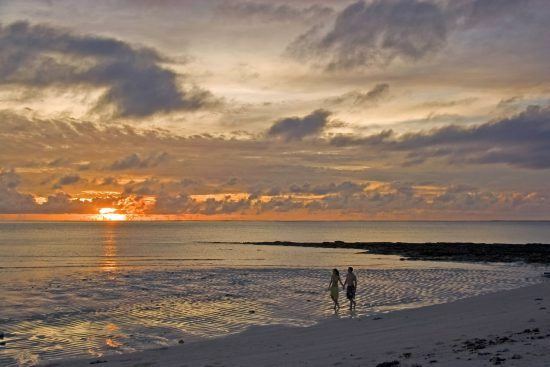 The Bazaruto Archipelago, dubbed ‘the peal of the Indian Ocean’ is undoubtedly the most popular tourist spot in Mozambique. Coupled-up pairs looking for a bit more intimacy and exclusivity might enjoy the Bazaruto Archipelago, one of the most remote beach destinations around, just a bit more. With white sandy beaches, tropical waters, leafy palm trees and opportunities for scuba diving, snorkelling, swimming, dhow cruises and more, it is one of the most blissful romantic African experiences available. The Quirimbas getaway is often described as “Robinson Crusoe-like” due to its limited number of tourists and epic setting. Anantara Medjumbe Island Resort & Spa, a tropical paradise surrounded by white beaches, is a quality location for a couple looking to make memories that’ll last. With just 12 beach-front villas, it offers guests opportunities for sky diving, fishing and other water-based activities, including pure relaxation on its white sandy shores. To inquire about a visit to these romantic locations, get in touch with one of our agents for a tailor-made tour of your dreams.